Why are BGL greenkeepers so excited? Three of Burhill Golf and Leisure Ltd.‘s greenkeeping staff have been nominated for the prestigious Toro Student Greenkeeper of the Year Award 2016. 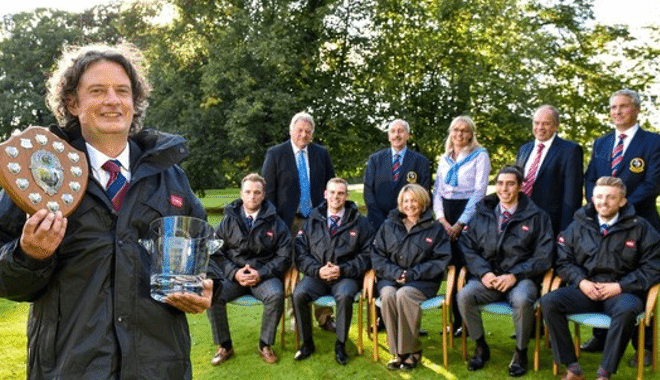 Three of Burhill Golf and Leisure Ltd.‘s greenkeeping staff have been nominated for the prestigious Toro Student Greenkeeper of the Year Award 2016. Emily Gammon, Andy Morgan, and Ross Butler, all qualified apprentice greenkeepers at BGL venues, have been selected to attend their respective regional finals for the award with the potential to win an all-expenses paid trip to the USA. BGL supports greenkeeping apprenticeships across all of their 22 courses in the UK. The winner of the award will receive a six-week residential scholarship to the University of Massachusetts to attend the winter turf school, they will also make a visit to the PGA Show in Orlando, and the Toro headquarters in Minneapolis. Runners-up will receive an expense paid trip to the BIGGA Turf Management Exhibition in Harrogate in January 2017, where they will attend educational workshops and see the latest in products and innovations within the industry. I hope that despite the Brexit these BGL or other greenkeepers will be able to make good use of their new knowledge. BIGGA chief executive officer, Jim Croxton said “The decision to leave the EU will have an impact on people’s pockets and within the golf industry this can manifest itself in a reduction in greenkeeping budgets.” The exit will cause troubles also for the leisure and hospitality sector (e.g. employment rights, EU funding, consumer spending etc.). Miklós Breitner is the Founder and CEO of Golf Business Monitor, a golf business blog since 2009 which covers the latest business challenges and initiatives of the golf industry focusing on golf club management and marketing, golf tourism and golf equipment. He is also publishing in Golfclubmanagement.net, Golfshake.com. Golfindustria.es and Pgae.com.